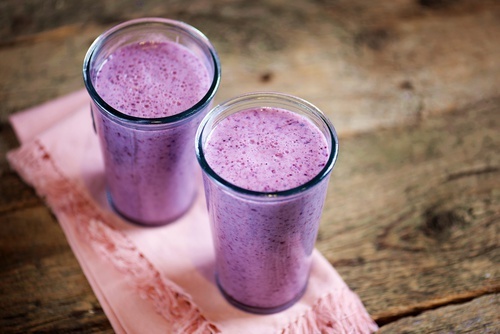 You don’t HAVE to add the shatavari or other herbs (then it’s just a tasty blueberry smoothie! ), but I devised this blend specifically to get some of my daily shatavari in without being the wiser, smoothie-flavor-wise. My smoothies usually have some chocolate in them, but I was intrigued by a recent acquisition of good vanilla protein powder and experimenting with what I could do with it. I’m also wanting to amp up my intake of shatavari, and this mild herb from the asparagus family is tasty enough to be smoothie material. I thought it might be better disguised with a vanilla kind of vibe than chocolate, so here we have it. As an overall reproductive tonic, shatavari is used at all stages of a woman’s reproductive cycle, from the start of menses to the end, supporting ovulation and fertility and addressing symptoms of PMS as well as symptoms associated with perimenopause and menopause. It’s a good general stamina builder, digestive tonic, and immune rejuvenative as well—male or female. It’s cooling and soothing. As part of the asparagus family, this herb should be avoided by anyone with an allergy to asparagus. 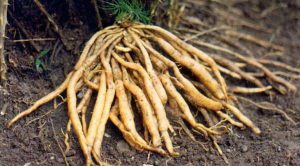 Since asparagus may have a diuretic effect, shatavari should be used with caution if taking diuretic drugs. Also, always consult a practitioner before using shatavari while pregnant or nursing. They all hid very well in there. If you do collagen, you could do half a scoop of that too. Absolutely delicious and refreshing, no herbal taste at all (to me anyway). Mission accomplished! For me this made enough for two servings, each 78 cal, 1.6 g fat, 6.6 g protein, 4 g carb, 4.5 g sugar. That’s not counting the shatavari, however, which is hard to get a nutritional read on but likely has some macronutrient substance to it. I’m going to try this with strawberries next time! Also, I think adding a tablespoon of nut butter—especially cashew or macadamia or something else a little less typical than peanut or almond—would give it more of “cheesecake” than “shortcake” identity (and add fat and a bit of protein as well). Flax/chia would thicken and bit boost protein a bit, up the omega-3 value, and Whole Foods 365 Maple Vanilla Flax would probably go well with the theme. If you want to sweeten (I don’t think it needs it, though) you could simply add a bit of your favorite to taste; try mesquite or lucuma powder for a caramel-y flavor that would go well with this, as well as more nutrition!